Easy-to-read blue and red printing on white. Full-year reference calendar on each page and highlighted federal holidays for ease in planning. Bonus page with six months of future planning space. Easy-to-read blue and red printing on white. Ruled daily blocks keep notations neat. 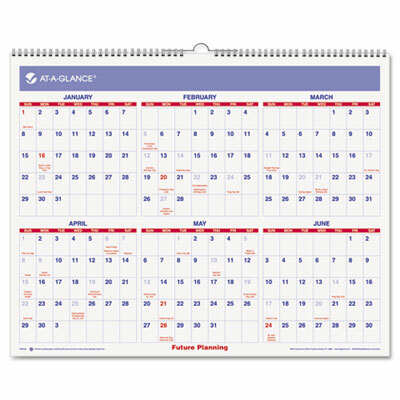 Full-year reference calendar on each page and highlighted federal holidays for ease in planning. Bonus page with six months of future planning space.